In the run-up to Super Bowl 2018, news began to trickle out that a reboot of the popular '80s franchise “Crocodile Dundee” was on the horizon. 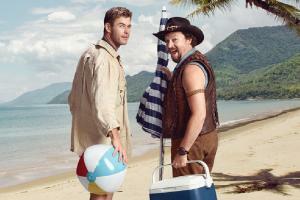 Social media, billboards and even an IMDb page teased the coming of “Dundee: The Son of a Legend Returns Home,” starring Danny McBride and Chris Hemsworth plus a line-up of Aussie A-Listers. But when Game Day finally arrived, the campaign from Droga5 revealed it was a ploy to promote Tourism Australia. The day after the game, the campaign snatched the most online views of any Super Bowl ad, according to Ad Age’s Viral Video Chart.